An interview with legendary US fantasy author Raymond E Feist inspired Duncan Lay to begin writing fantasy. 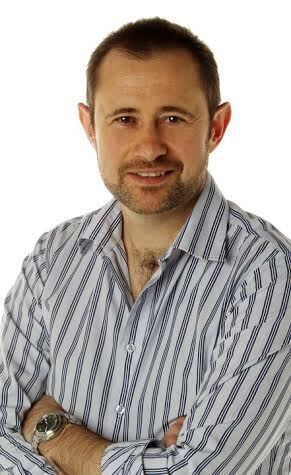 He is the author of two best-selling Australian fantasy series, the Dragon Sword Histories and the Empire Of Bones. He writes on the train, to and from his job as production editor of The Sunday Telegraph, Australia’s biggest-selling newspaper. He lives on the Central Coast of NSW with his wife and two children. In this fabulous guest post, Duncan explores how he created the world of his new series, by inspiring himself from the real world. When you begin to read a fantasy story, the author is asking you to put aside your disbelief when you crack open the front cover. What lies inside could include fantastical creatures, magic, non-human characters – really, it could be anything. Personally I think fantasy is best when it comes with a layer of reality, as it gives the reader something to hold on to, something familiar to ground all the fantastic, amazing other things they are reading. Part of that comes from the characters, making them as real as possible but I also think part of it needs to come from the world they are from. I know that some authors lovingly construct a world from scratch and good on them, I say. Personally, I think that a touch of the real world in a fantasy story gives the reader something recognisable and allows them to more easily believe what else is happening. 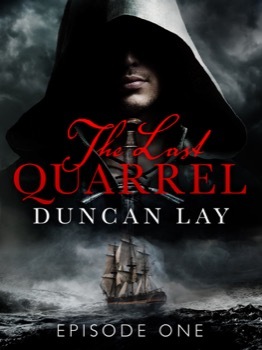 In my new series, The Last Quarrel, there are two lands. Gaelland, which is based on Ireland and the Kotterman Empire, which is loosely based on the Ottoman (Turkish) Empire. In real life, these two countries had nothing to do with each other but this is fantasy, so anything can happen! The beauty of basing your fantasy country on a real country is you instantly have no problem with character names. Those baby name websites not only offer you endless options but also helpfully say what the name means, which allows you to pick names that offer a hidden side to the character. Place names are also a breeze, although you can also mix those up a little so as not to represent actual places. Thus I have Lagway (Galway), Lunster (Munster), Meinster (Leinster), Londegal (Donegal) and so on. Best of all, it allows you to learn from history. After all, people survived and thrived in those conditions, in that weather, through war, disease and famine. How they did it gives you an insight into how your characters might live, what they might wear and eat. It can influence their speech, their mannerisms and their history. Of course, being fantasy, you can pick and choose which aspects you keep and which you discard and replace with your own! I loved the idea of Ireland for many reasons. The thought of a small, proud country that, through no fault of its own, is next to a larger more powerful one is obvious. How it deals with that larger country’s ambition is a matter of history. Ireland has a proud warrior tradition, its own songs and legends and a powerful national character. One of the main characters, Fallon, even uses the shillelagh, the traditional Irish fighting stick. Plus I was fascinated with the story of the sack of Baltimore, an Irish village that was stripped bare by Arab slavers. Putting the two together gave me a strong base for my story. The Ottoman Empire also interested me. The way it was seen as the “sick man of Europe” during World War I, which led to the battle of Gallipoli and the forging of the Anzac legend, makes it instantly fascinating to anyone in Australia. The idea of a mishmash of an Empire, cobbled together from a variety of countries and held together by willpower and a steel fist, made it an obvious choice for me. Naturally there are heroes and villains on both sides! History books are a great help with research but I also find books such as the Horrible Histories series are even more helpful, offering a really gritty view of life in different times. And the best thing is, you can always mix and match things, as well as make them up if it comes to it. After all, it is fantasy and it only needs a little reality! The Last Quarrel is a series in 5 episodes, the first of which came out on January 22, and further episodes will be released at fortnightly inteervals in February and March, with Episode 2 coming out this week! Keep an eye on Duncan’s Momentum page for more information as episodes are released. In the country, fishing boats return with their crews mysteriously vanished, while farms are left empty, their owners gone into the night, meals still on the table. In the cities, children disappear from the streets or even out of their own beds. The King tells his people that it is the work of selkies, mythical creatures who can turn from seals into men and back again and witches. But no matter how many women he burns at the stake, the children are still being taken.